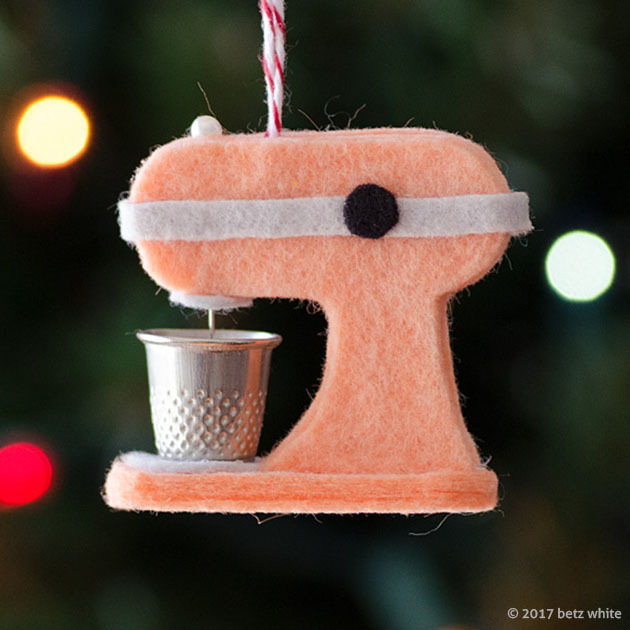 This sweet little kitchen mixer ornament will appeal to those that bake and anyone that appreciates goodies! Imagine a tiny elf helping to whip up a fresh batch of Christmas cookies! 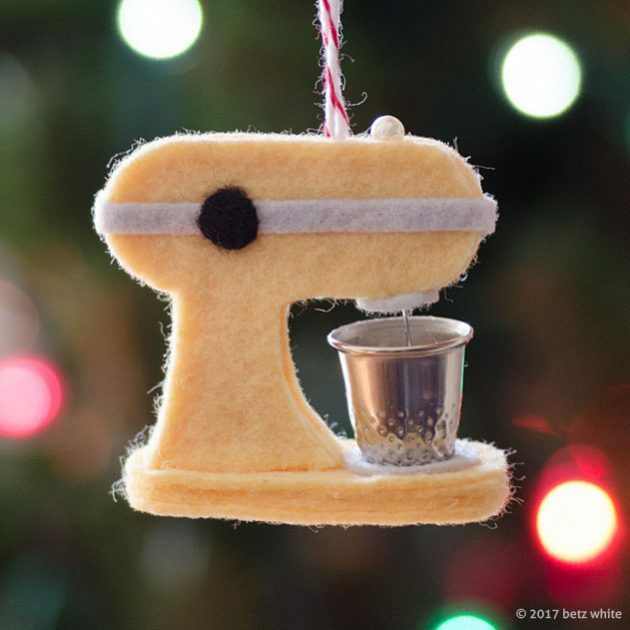 Easy to make with felt, glue, and a silver thimble as the mixing bowl. Great looking on your tree or to make as a gift. 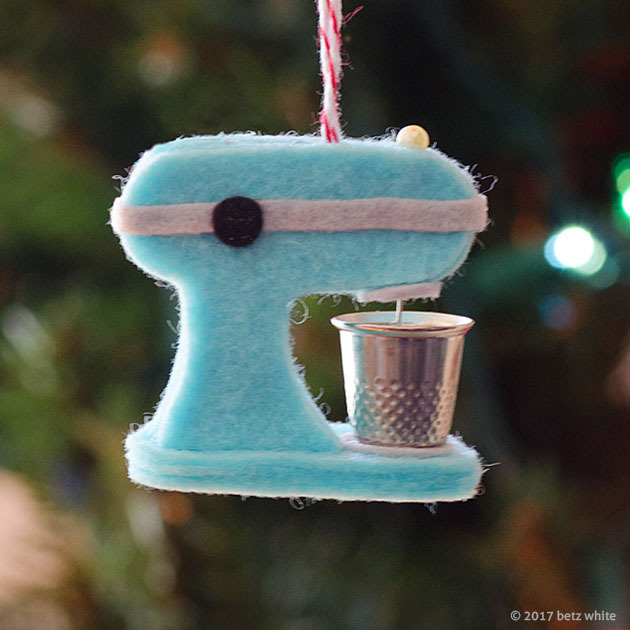 This is a new-sew ornament, simple as pie! I love how it looks in a variety of retro colors, too! If you’re not a member of the Holiday Stitch-along Ornament Club yet, you can still join! The cost is $20 for all 4 ornament patterns that will be released over the coming weeks. If you’d like to simply buy this pattern individually without joining the club, it will be available in my Etsy shop next Monday November 6th. Keep in mind the cost savings you get with the club ($5 each vs $6 each!) as well as enjoying the surprise and crafting along with other club members. Have you already made your Pineapple Ornament from the first pattern release? I’d love to see them! Share on Instagram with the hashtag #holidaystitchalongornamentclub or post in our Facebook Group! Both of your ornaments are absolutely adorable! I see on your craftsy site that you will be selling a minimal number of kits and was wondering if either of them were available for sale? The supply packs have sold out but felt is available at Benzie Designs!